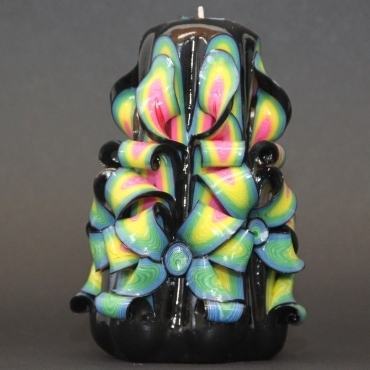 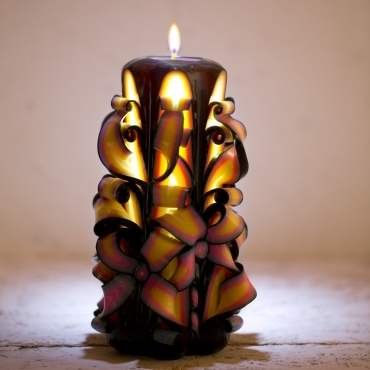 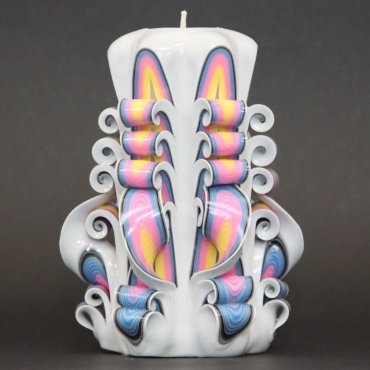 ITEM DETAILS - This CARVED CANDLE (ProductID: A06148) is:approx. 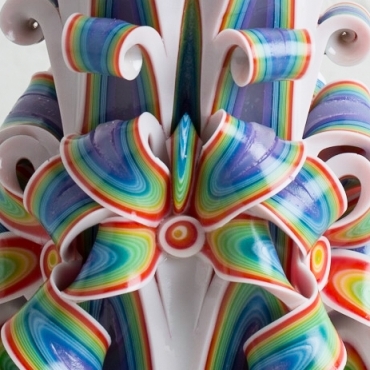 height 5.1 inches (13 cm) and approx. 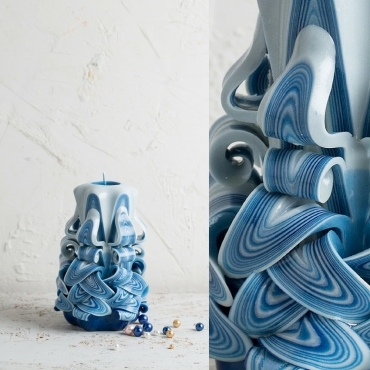 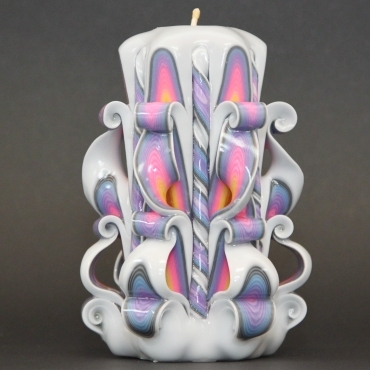 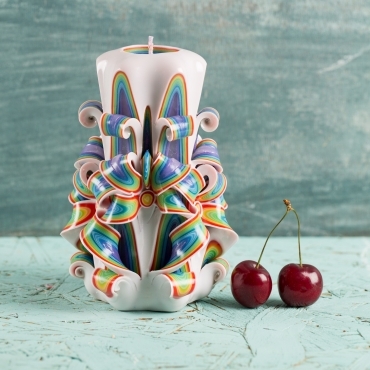 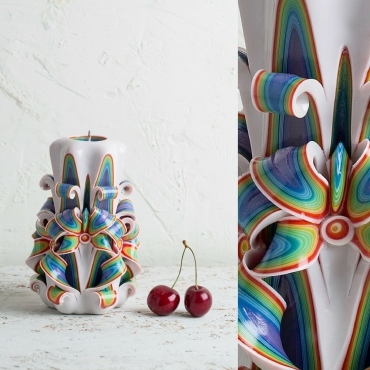 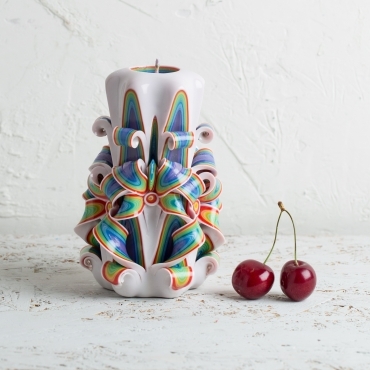 weight 0.75 pounds (350 gr).It is white multicolor candle with rainbow colors spectrum.Carved layers are a mixture of all rainbow colors stripes.If you don’t want to burn this candle, you can place a tea light on top of this candle, and light it up instead of the wick.